Dierks Bentley, Randy Houser, Cam & Tucker Beathard are all coming to Pavilion at Montage Mountain on Thursday 2nd June 2016! If your a Country fan then be sure to get down to Montage Mountain for this very special 'Somewhere On a Beach' summer night, courtesy of Dierks Bentley! The talented star is ready to give fans the time of their life, with brand new material from the upcoming 2016 record, plus all of the classics that you hold close to your heart! If ya'll haven't got tickets, now is the time to do so – it's going to be HUGE! Dierks Bentley is one of Country's most respected and well known stars of the time… with a whopping Seven albums under his belt, this award-winning singer/songwriter Dierks Bentley continues to grow and improve as the years go on. His 2014 RISER record, portrayed a beautiful personal project. This year, he plans to bring it even bigger than before with an exciting tour across North America, if you haven't seen Dierks Bentley perform – now is the time. 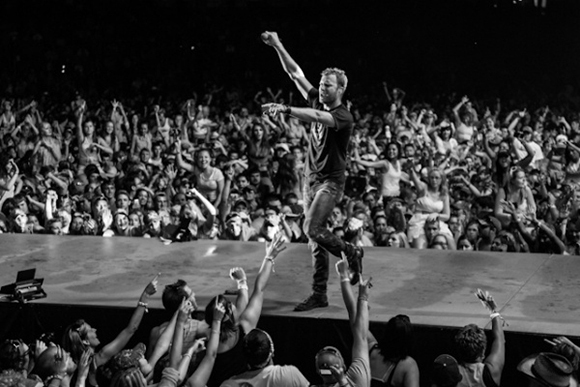 "Dierks Bentley once again gives a seamless performance, crafting a show that keeps the crowd on their toes right from the first note up until the end…"